Stem: I lerbaceous. cs indrical. Leaves: Petiolate. alternate, simple, exstipulate, reticulate venation, leaves are generally covered by simple or branched hairs. Flower: . Pedicil late. ebracteate. act i nomorph ic. regular. 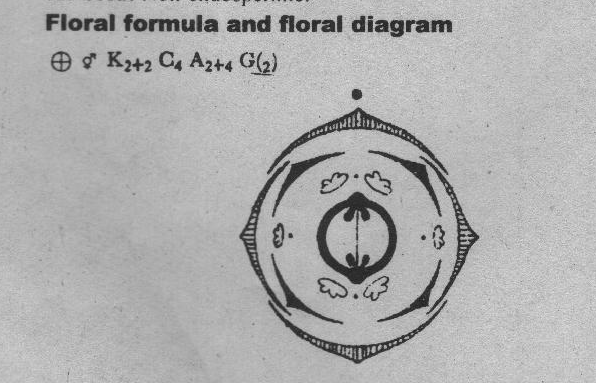 Corolla: 4 petals, free arranged in single whorl occupying the diagonal position and form characteristics cruciform form. Stamens: 6 stamens, free. tetradynamous (two lateral stamens are smaller but four median stamens are larger) basifixed, nectaries are present at the base of stamens. Carpel: 2 carpels, fused to form compound ovary: synearpous. placentation parietal, ovary unilocular but become hilocular due to formation of false septum. I. Vegetables: The roots, leaves and fruits and inflorescence of many plants of this family are used as vegetable. Example: radish, turnip, cabbage. catilillokver etc. Extraction of oil: Vegetable oils are extracted from many members of this family like mustard howeu Eruct. Medicinal plants: Sonic plants are used in medicines like Simnbrium Aria, Lepidiwn salient;; etc. 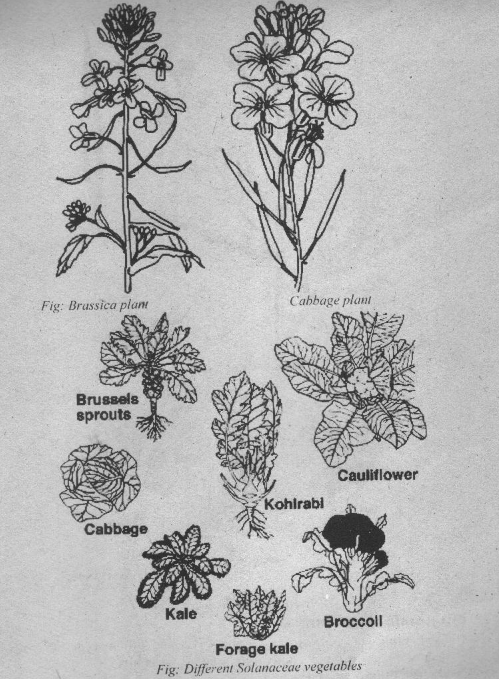 Fodder: Leaves of Brassica species are used as fodder. Oil cake is obtained by crushing the seeds. it is given to cattle as fodder. 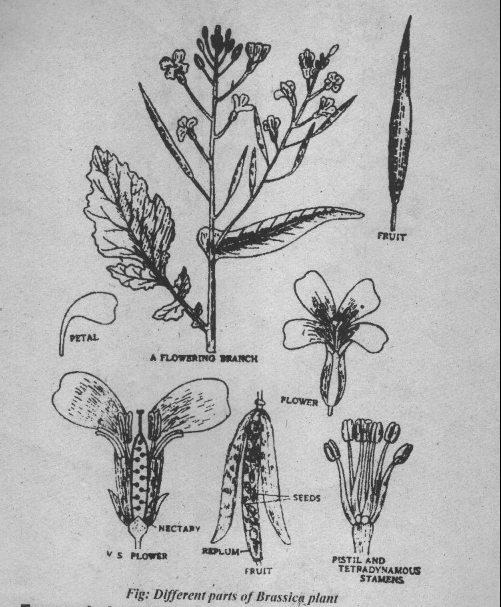 Weeds: Some plants like coonopis and burcatuunri act as weed. It is a large family. It includes about 200 genera and 2000 species. They are mostly found in temperate regions of the Northern Hemisphere. Some species are also found in tropical areas.